This is a case where I knew what my caption would be before I found a picture to go with it. 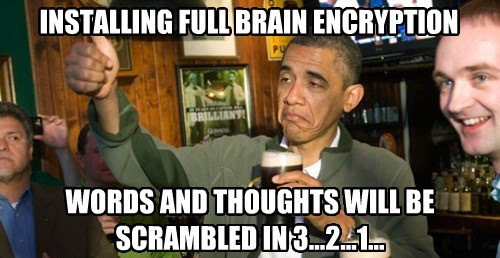 I never dreamed Cheezburger would have one of Obama drinking beer in their collection. That just made it too topical to pass up. Have a happy, safe, and secure St. Patrick's Day folks.